February Happenings! 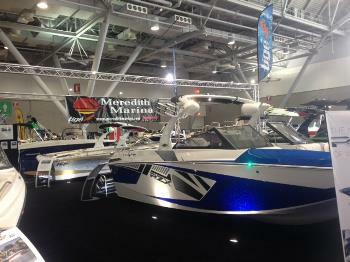 We are gearing up for the New England Boat Show in Boston on February 13-21 (at the Boston Convention Center). Give us a call if you’re looking for discount tickets to the show, and we will have special offers galore. We will be showcasing the latest 2016 Tige boats with their industry leading surf and ski technology. We also will have special deals on leftover rental boats, which are going fast as we rotate our fleet for next year – save thousands and have a full warranty. 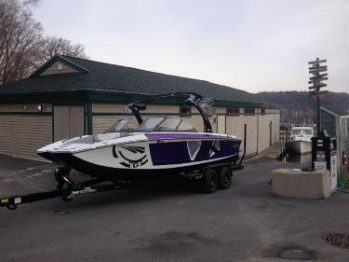 Welcome Tige! 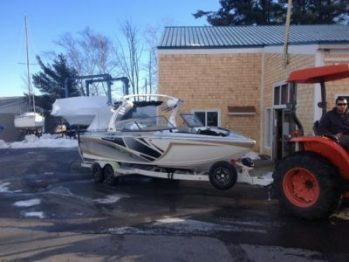 – Christmas came early to us here at Meredith Marina, our first load of Tige boats arrives at the dealership!! After a thorough check, they will be waiting for you patiently in our showroom, until we take them to the Boston Boat Show in February. We can’t wait to get them on the water!